As China top brand for solids control & drilling waste management manufacturer, GN Solids have awarded the certificate of API, ISO 9001, HSE, CE and CR-TU. With these certificates, GN product can be accepted by many countries, and this is road for GN products going to each rig for service. With CE certificate, GN got one big order from Europe requiring 3sets shaker, mud cleaner and decanter centrifuge. The order will be used to replace the old solids control equipment in 3sets oil drilling rigs. Why the clients choose GN Solids? Below chapters will give you more information. Decanter centrifuge is wise choice for liquid solids separation solution which can separate +5microns solids particles. If the client need to separate more fine solids, can add chemical enhancement equipment like flocculent unit to coagulate the smaller particles to big ones, then separated again by decanter centrifuge. Thus, the total solids content can be reduced remarkably. The drilling contractor can choose proper shale shaker model as per the technical request and budget. As China high end solids control equipment, GN win good reputation in worldwide market with high quality & good price. Based on the many years brand accumulation, even during the low oil price period, GN can have good development. 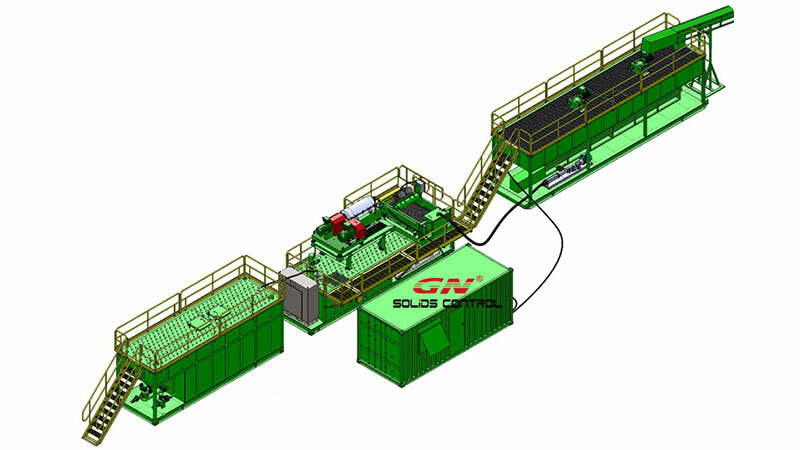 This is the first time to build oily sludge treatment system by GN Solids Control. With the help from client, GN design and modify the equipment configurations many times, and finally satisfy the need of client. The system is under commissioning in jobsite, GN sales people, mechanical engineer and electrical engineer are working for the commissioning at jobsite, together with clients. The oily sludge treatment system mainly including feeding system, Pre-mixing and heating system, screening separation module, centrifuge module, chemical dosing module, three phase separation module, micro-bubble separation module, solids washing module etc. We shall update to potential clients with sludge system working performance, and jobsite working videos. To optimize the production and management, GN Solids separate the workshop for centrifuge and shaker screen. Now, GN have first factory for administration, workshop for generally solids control equipment like shale shaker, mud cleaner, various pumps, screw conveyors, mud tanks etc. and the second factory is specialized for centrifuge, shaker screen and vertical cuttings dryer processing, production and storage. Now, we have large quantity of 14inch bowl in stock to give fast delivery to clients with urgent project needs. This model centrifuge is replacement centrifuge model to Swaco 518 or Swaco 414 centrifuge, as well as Derrick centrifuges Derrick DE1000FHD centrifuge. Pls contact GN Solids for quotation if you have any requirements. GN has over 5 sets shaker screen production line for the shaker screen production and proper space for the storage. The shaker screen production line including: edge cuttings and position platform, hot press machine, screen pretension machine, etc. If requested by client, we can offer the production line and offer engineers to help on the installation, commissioning and training on how to produce different model shaker screens. Replacement screen for Derrick FLC shakers, eg. FLC 500 or FLC 2000 shakers, Hyperpool shakers. Replacement screen for NOV brandt cobra shakers, venom shakers, LCD-2M shakers, etc. Replacement screen for FSI 5000 shaker, etc. 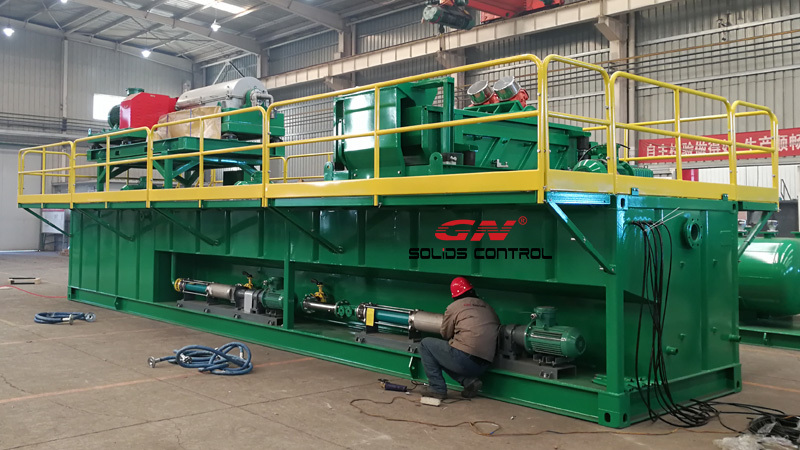 If you have any request for shale shaker screens, pls contact GN Solids Control.